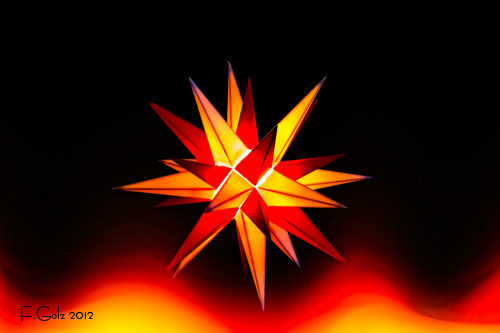 My wife bought this Moravian star in Herrnhut, Germany. 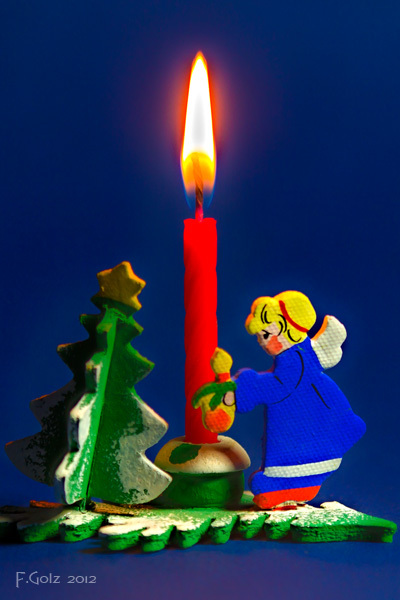 It is a symbol of Christmas, light, hope and peace. In this sense I wish everybody a Merry Christmas. I will take a brake until the new year. Happy Photographing! 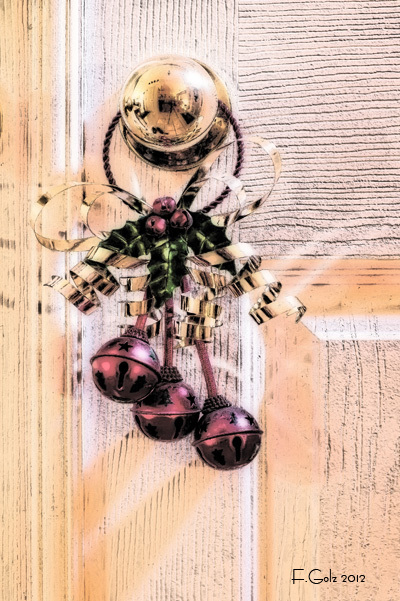 My wife put this Christmas decoration on my office door knob. I decided to use it for this exercise and photographed it using two different light sources with different color temperatures. I used regular yellow light and in addition I used my cold LCD flashlight to illuminate my subject from the upper left. In post production I aged the door and played with different layers. Enjoy and have fun with your images! Last night I was able to get out and photograph some outside lightning. 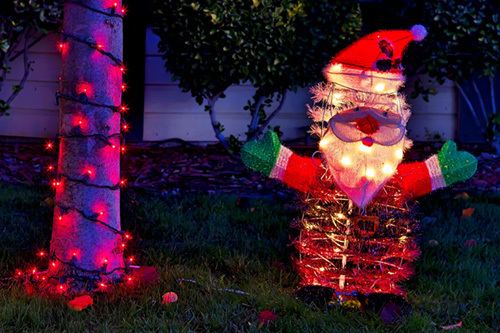 The best time to photograph Christmas lights is right after sunset and before it gets pitch dark. Of course a sturdy tripod is needed! 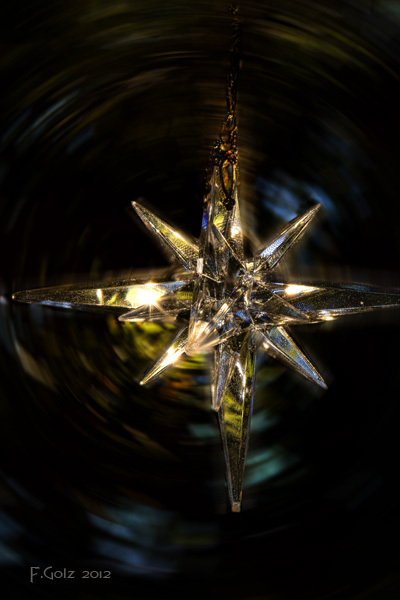 This is a small Moravian star that is used as a Christmas ornament on our tree. I photographed it using a tripod and a 180mm macro lens. I positioned the camera that a Christmas light was right behind the star. In post production I doubled the layer and created a motion blur. Using a mask I brought back the star and just blurred the background among other other minor adjustments. Originally I had planned to photograph outside but it is raining and so I decided to stay inside and photograph Christmas symbols at my home. In this weeks exercise, i ask you to do the same. If you belong to a different tradition or religion, photograph at your house what you care about. This is a very small candle arrangement that my wife put into our kitchen window. I added in my studio a blue background and used a white lamp in addition to the candle light. 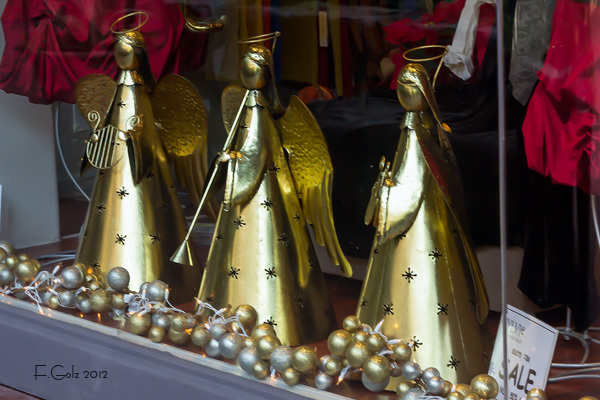 I am sure that the three angels are not for sale, just the clothing around them. Enjoy and keep producing great images! 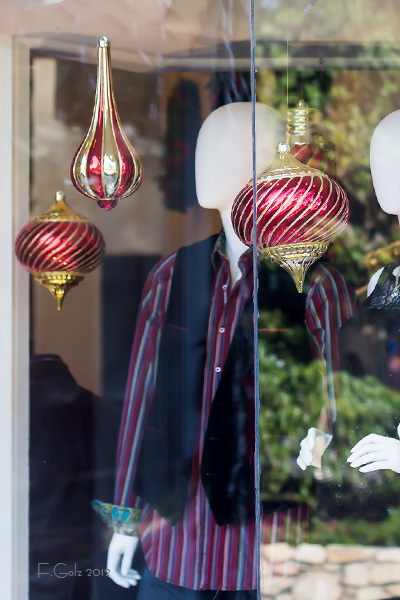 I saw these beautiful Christmas decorations at a store in Carmel, CA. Keep on looking and photographing! 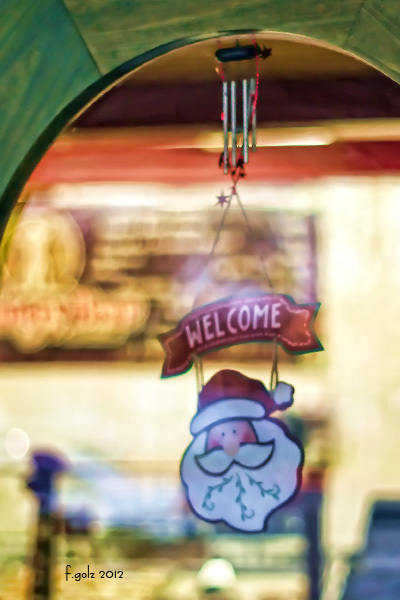 I found this Santa sign behind the glass of an entry door to a bakery in Fresno, CA. 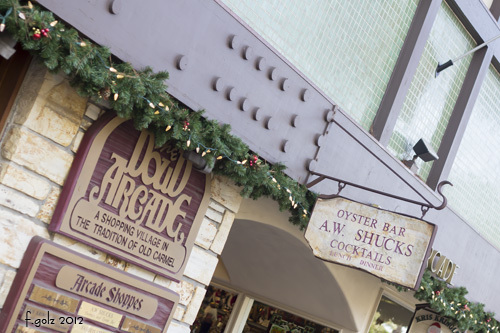 One of the challenges is that many Christmas signs and decorations are behind glass and glass can be a challenge. After Thanksgiving our city and many cities, villages, homes etc. look different. They are somehow decorated for Christmas. In this exercise I like you to document this event. This exercise has to do with composition and content. As always enjoy and think before you shoot! I photographed this image in beautiful Carnel, CA. See how the lines of Chritmas lights and greens changed the appearance of this place.! 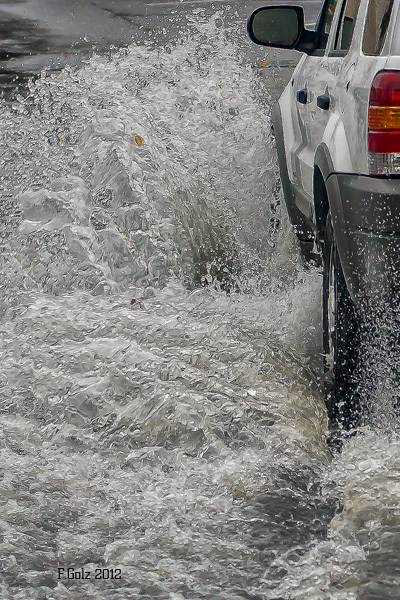 We were driving into a parking lot when I saw a huge paddle of water. The cars were driving through it and I got the shot of this one.